Botanicals is an organic skincare brand whose aim is to provide a range of personal care products which are as close to nature as possible. I saw a few beauty bloggers mentioning this brand before and I read some good reviews about the brand, therefore I was really excited about trying their Mandarin & Chamomile Hydrating Mist* which they kindly sent to me to try. This is the first time I tried one of their products and I wasn’t disappointed. This year Botanicals are celebrating 10 years of producing natural organic skincare products, which are still made by hand from the company’s base in rural Leicestershire. 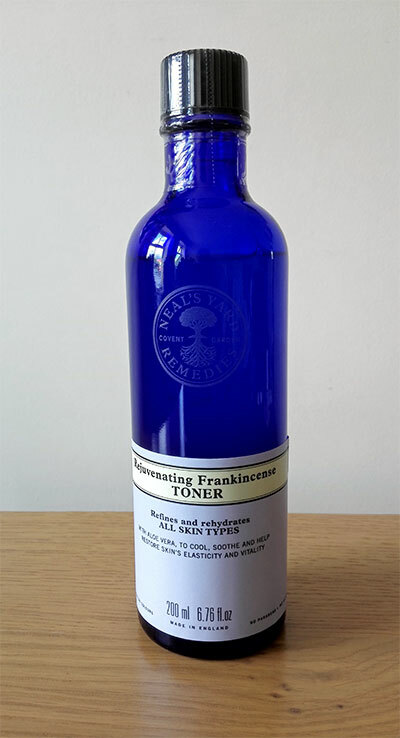 The main face behind the brand is Wendy Stirling who launched Botanicals after one of her daughters suffered a severe skin reaction to a natural-sounding ‘herbal’ shampoo. Botanicals’ products are free from skin irritants such as petrochemicals, sodium lauryl/laureth sulphate and propylene glycol and they are also free from artifical colours, fragrances or preservatives. What is more, all Botanicals’ skincare products are certified organic by the Soil Association. What is also great about Botanicals is that the ingredients they use are cruelty free (meet ‘Humane Cosmetics Standard’ criteria) and their products are also suitable for vegetarians. 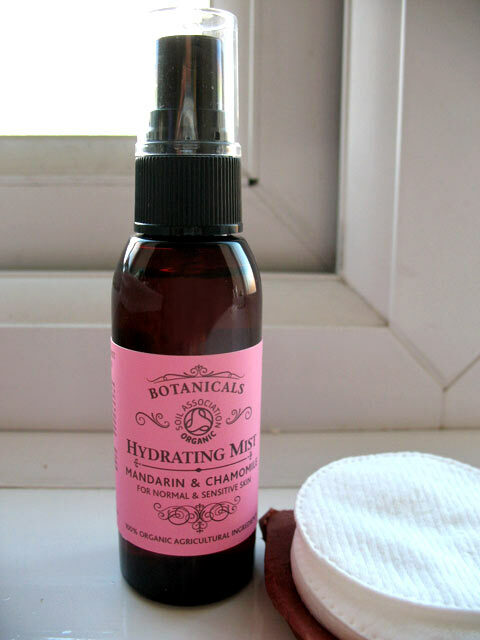 Botanicals’ Mandarin & Chamomile Hydrating Mist is 100% natural with 100% organic agricultural ingredients. You can buy it online in two sizes: regular (100ml – £14.95) or salon (250ml – £24.95) which comes with dropper. I’ve been using a regular sized spritzer bottle which is great as you could either spray the toner directly onto your face or spray it onto organic cotton pads and then apply it, which is what I’ve been doing. I love this spritzer bottle as it allows me to control how much of the product I use every time as opposed to some other toners I previously used which didn’t have this. In this toner you will find essential extracts of calming chamomile and anti-oxidant white tea, soothing lavender oil and toning mandarin. When I use it I can smell a gentle lavender scent and it’s enough to wake up my senses but not overpowering. 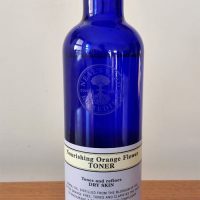 Although it says on the bottle that the toner is suitable for normal and sensitive skin, it is actually also suitable for combination skin (they mention this on their website). If you have an extra dry or mature skin you will be probably better off trying their Rose & camellia hydrating mist. I have a combination skin which is prone to breakouts, but I also get dry patches, usually around my mouth and they can be quite visible once I put my mineral foundation on. Once I started using Botanicals Mandarin & Chamomile Hydrating Mist I was very pleased to see that the dry patches improved and eventually totally disappeared. Before, I would have to apply an almond cream from Neal’s Yard Remedies during the day to treat this problem but since using Botanicals’ toner this wasn’t necessary so I was really pleased with the results. So the toner does what it says it would do. It hydrates the skin and although the mist contains some oils, it doesn’t leave the skin greasy. Instead, it tones the skin, leaving it refreshed and ready for the moisturiser. I’ve been using the toner in the morning before applying the make up and in the evening to remove the last traces of make up and dirt after the shower. It has slight yellowish colour to it (see the picture) as opposed to some other toners I used in the past which had neutral colours. The only downside to this is when you are removing the last traces of make up, you can’t see very well the traces you’ve just removed. Not a big problem, I trust it still does the job and what’s more important for me is that it doesn’t cause my skin to break out, which is why I would definitely use it again. Overall, it’a great quality product with 100% organic ingredients which your skin will love and appreciate, therefore it’s definitely worth the money it costs. I am positive I will buy more products from Botanicals in the future and I am happy to recommend the brand to anybody who are looking for a quality organic brand, certified by Soil Association. Have you used any of Botanicals’ products before and what was your experience? I like their branding too and their values. They are really a great brand and look forward to trying more of their products in the future. Thanks for the comment!